Starting 2016 off right with five incredible novels. 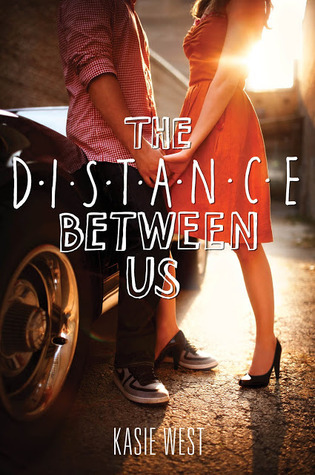 The Distance Between Us by Kasie West – Hello, Katy Book. The Distance Between Us is everything I look for in contemporary YA romance. Its protagonist, Caymen, is full of pluck and sarcasm; her personality sparkles, and she made me laugh repeatedly. She feels so authentic — I think we would’ve been friends in high school. 🙂 Her romantic interest, Xander, is all sorts of swoony. He’s filthy rich and Caymen’s definitely not, and while Xander is never anything but sweet and gracious, the class differences make for some interesting conflict. Bear in mind, most of the discord is created by Caymen, her feelings of inadequacy, and her prejudices against the wealthy, but her issues make sense and come from struggles in her — and her mother’s — past. Speaking of Caymen’s mother, I really enjoyed her. She’s present and kind and, while she has her issues, it’s very clear that Caymen is her sun and moon. The Distance Between Us is full of heart, romance, and perfect, perfect voice. Some might call it fluffy, but I disagree. It’s a cleverly told story about real people with real problems, and I loved it. 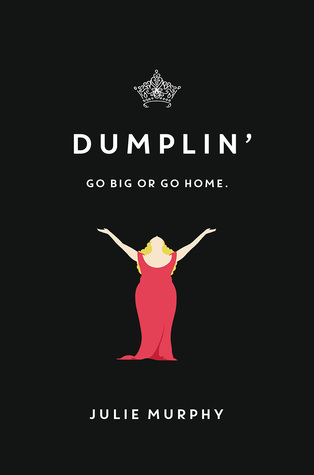 Dumplin’ by Julie Murphy – I had high expectations for this sophomore effort. In fact, I had very specific expectations — I was itching to read something outwardly lighthearted, but with an underlying depth. More specifically, I wanted a book with a complicated romance, a likable and layered protagonist, a small-town setting, and eccentricities guaranteed to make me smile. Dumplin’ was everything I was hoping it’d be, and more. Willowdean Dickson is incredible — I dare you not to fall instantly in love with her. She’s spirited and resilient and smart, and she faces challenges that will likely be familiar to anyone who’s experienced high school: self-consciousness, envy, bullies, evolving friendships, parental expectations, and unrequited love. I adored Willowdean’s voice and her sense of humor; even when she was screwing up, causing me cringe by making choices I knew she’d regret, I never stopped cheering her on. I loved so many aspects of this novel, including Will’s new friendships, her complex relationships with Bo and Mitch, her confidence and her inhibitions, every single scene leading up to and set during the Miss Teen Blue Bonnet Pageant, and the many Dolly Parton references. Dumplin’ is a delight from start to finish — recommend! Thicker Than Water by Kelly Fiore – This one was high on my most-anticipated of 2016 list, and it did not disappoint. It’s a story of addiction and the toll it takes on an already floundering family. CeCe Price’s big brother, Cyrus, has been hooked on OxyContin since suffering a soccer injury. He used to be CeCe’s hero, but now he’s something of a tragedy — lying and manipulating, abusing CeCe, stealing from their father, disappearing for long stretches of time. Money’s tight in the Price household and, thanks to an unfortunate but seemingly unavoidable series of events, CeCe begins dealing pills she’s filched from her brother. Cyrus ends up dead and CeCe’s accused of his murder and this story… it makes me sad, sad, sad. I have experience with an addicted family member, and Kelly Fiore’s narrative hit hard. Her depictions are unflinching, devastating in their accuracy, and, thanks to the novel’s before/after format, there’s a sense of inevitability that makes it hard to put down. CeCe is easy to relate to (even if you haven’t encountered addiction first hand, I think), and even while she stands trial for killing her brother, she’s incredibly sympathetic. I haven’t read anything quite like Thicker Than Water before, and its authenticity impressed me. Definitely worth checking out if you’re a fan of dark, hard-hitting YA. 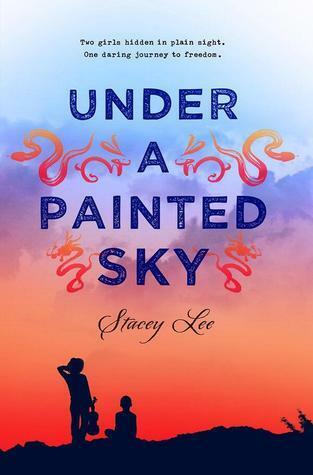 Under a Painted Sky by Stacey Lee – This book is SO impressive. It’s got everything: a strong, fully developed protagonist, tons of action, a setting unlike any other (the Oregon Trail! ), perfectly planted plot twists, an incredibly diverse cast, and prose so evocative, you’ll feel like you’re trekking across the prairie with Samantha, Annamae, and the cowboys they befriend along the way. Last month I read Erin Bowman’s Vengeance Road and it converted me into a true Western fan, which is why I decided to give Under a Painted Sky a go. It didn’t hurt that I’ve been reading excellent reviews of this debut for the last year. All that hype is well deserved. This is such a strong novel — reading it is a complete experience, and it is intense. These characters who I grew to love face all sorts of hardships along the trail: unforgiving elements, outlaws, cholera, wild mustangs, rushing rivers, and unrequited love (obviously — this is a YA novel <3). My very favorite aspect of Under a Painted Sky is the friendship that forms between Samantha (a Chinese violin prodigy) and Annamae (an intrepid runaway slave). The way these girls care for each other through unimaginable adversity is incredibly moving. Definitely give Under a Painted Sky a read — I think you’ll love it. 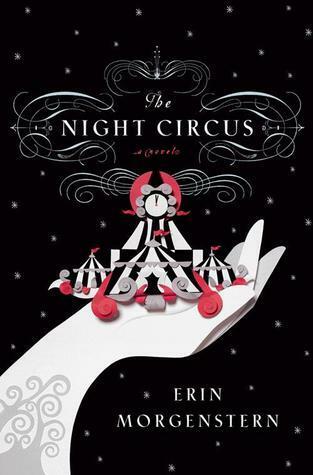 The Night Circus by Erin Morgenstern – I want to live in this beautiful, beautiful book. The spun-sugar prose, the lovingly crafted characters, the wonderfully vivid settings, the way multiple layers of story tie together in the end… The Night Circus is perfection. I listened to Jim Dale’s narration of the audiobook, then immediately bought myself a physical copy because I will definitely reread, and because I can’t not own this novel — it sits among my top five favorite stories ever. The Night Circus is about illusion, and competition, and sacrifice, but it’s mostly a story about love. Marco and Celia are adversaries in a dangerous, high-stakes game, yet they’re too well matched. They fall for each other and their romance is pure magic. Like, I got literal chills pretty much every time they were on the page together — their chemistry is that amazing. I adored, too, Bailey and Poppet and Widget; their friendship is so lovely, their immediate bond so charming. Erin Morgenstern’s writing is exquisite. She’s so imaginative, and her ability to engage the senses with her dreamlike descriptions is unparalleled. Her prose is elegant and arrestingly powerful, and I found myself hoping it would seep into my brain and stay with me forever. Please, please, please give The Night Circus a read (or a listen, because Jim Dale is fantastic!) if you haven’t already. Firsts by Laurie Elizabeth Flynn was the best thing I read in Jaunuary, which is saying a lot because I read a lot of great books this month. But Mercedes was wonderful character (though maybe not for everybody) for spend time with and watch grow. Every book you featured is on my TBR-list. I need to get into reading gear – I’ve only read a few books in 2016 and they left me feeling ho-hum. But I have high hopes for February! Dumplin’ is in my TBR, but now I have even more to add. I’m not sure if I should thank you or curse you at this point, Katy.